Moving past a suffocating bull market and onto legitimate higher ground centers on the concern over whether Washington policy can avoid thwarting the rally and convince investors that Congress is on the side of investors. Investors looking for any reason to drive stocks higher found their elixir in the government's bailout plan for toxic assets, and some think it could be only the beginning. Before even getting a chance to sort through its multi-layered details, Wall Street soared higher, capitalizing on the positive news cycle and an oversold market to resuscitate dreams that a bull market was just over the next horizon and paved with more billions in bailout money. The Treasury plan "may be a game-changer, because it's been sprinkled with some better-than-expected economic data," says Tom Sowanick, chief investment officer at Clearbrook Financial in Princeton, N.J. "If the tea leaves all start to line together I think this will be the beginning of a major bull market." Indeed, Monday's rally seemed to be about more than Treasury Secretary Timothy Geithner's plan to establish a public-private partnership to buy up the toxic debt on banks' balance sheets. Getting rid of the toxic assets is considered key before banks can restore their capital ratios and begin lending again. Finding a market for the assets, though, has been problematic, and there was some hope that the Geithner plan would be the beginnings, combined with temporary changes to accounting rules known as mark-to-market, of thawing credit markets. Stocks gained sharply on the news, and the rally gathered even more steam after an economic report showed a surprising increase in home sales for February. The combination had more market pros turning positive about the market. "You cannot fight this intervention," Steve Grasso, of Stuart Frankel, told CNBC. "When you start to see the market just climb after weeks and months of being sold out, you have to participate." But even in the face of such a violent rally, there remained questions. Investors wondered how much of Geithner's plan would pass congressional muster, and questioned whether there would be widespread participation in the asset purchases. Officials at Pimco, the world's largest bond fund, said it would jump in, but Congress's recent erratic behavior, specifically toward strings it is attaching to companies that receive bailout aid, has some leery over the government as a trading partner. "The program seems viable and I'm trying to connect the dots: Will this really help the banks normalize lending and therefore help the overall economy?" says Quincy Krosby, chief investment strategist at The Hartford. "I think the response will be positive--then you get into the next phase that is private investors working with the government." "Given Congress's performance last week it's difficult to imagine investors will want to join the government unless there are written guarantees that the government can't change the playbook along the way," she adds. Populist outrage over bonuses paid at troubled insurer and bailout recipient American International Group (NYSE: AIG) led lawmakers to discuss measures ranging from more stringent control over executive salaries to taxes approaching 100 percent on bonuses. Such talk, as well as general apprehension over stringent controls of the financial system, sent jitters through the investment community that could reverberate should Washington start wobbling over the toxic asset program. "It definitely is a step in the right direction, but it doesn't address the real fundamental question which is, has Wall Street become irrelevant?" Sowanick says. "Wall Street, which used to the provider of liquidity, can't do it alone anymore. The buy side has become so large that it dwarfs anything that Wall Street can do on its own, so you need an intermediary." Sowanick traces the issue back to the implosion of Long Term Capital Management in the late 1990s, requiring government intervention similar to what is happening now. In both cases, the government had to nudge Wall Street to the table and provide public resources to go along with private investment. "That leaves somewhat of a bad taste in your mouth because it doesn't tell us what the next Wall Street will look like," Sowanick says. "Is this a permanent impairment that we are experiencing, and if it is are we also seeing a permanent intrusion by the government?" But for the near term at least, all was rosy in investment circles, as portfolio managers have been increasingly advising clients to come in off the sidelines. At Clearbrook, portfolios entered the year vastly overweighted in Treasury bills but are now heading more aggressively into equities. "I don't know what chapter we're in in this book," Sowanick says. "You could have an enormous compression of spreads and an enormous rally in equities that could establish new highs." The sentiment is mirrored elsewhere, even among those who think the rally might be temporary. "We've been telling people if they're underweight they should at least get back to neutral," Steve Auth, chief investment officer at Federated Investors, told CNBC (see video). "This is a good time to be averaging in. We've been telling people don't try to pick a precise bottom." To be sure, the investment community will continue to ask questions and investigate whether the Treasury plan and the unprecedented government involvement will be a long-term positive for Wall Street. "The problem to them is, investor-friendly is also Main Street-friendly," Krosby says. 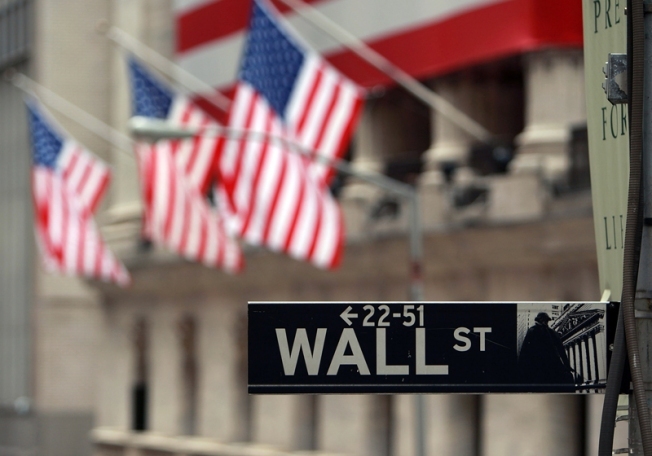 "Main Street and Wall Street are involved in a deep symbiotic relationship. One is not going to improve without the other."